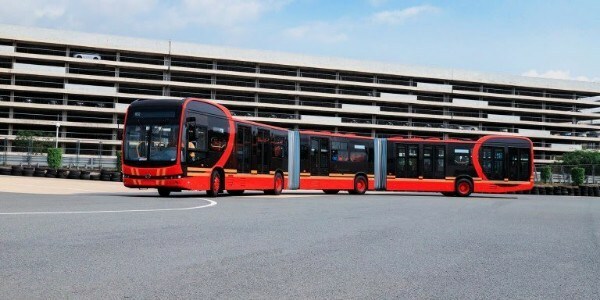 Chinese automobile maker BYD on Monday launched the world's longest pure electric bi-articulated bus K12A at the company’s headquarters in Shenzhen. The automaker claims that the bus is also the world's first electric bus that is equipped with a distributed 4WD system - that means it can switch between 2WD and 4WD smoothly to meet the demands of different terrains, while also lowering the vehicle’s overall energy consumption. Till date, BYD has delivered more than 50,000 pure electric buses globally. 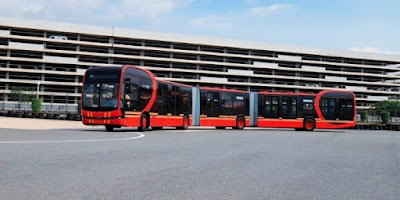 This particular articulated buses were developed for Colombia’s TransMilenio bus rapid transit system, along with other world BRT systems.